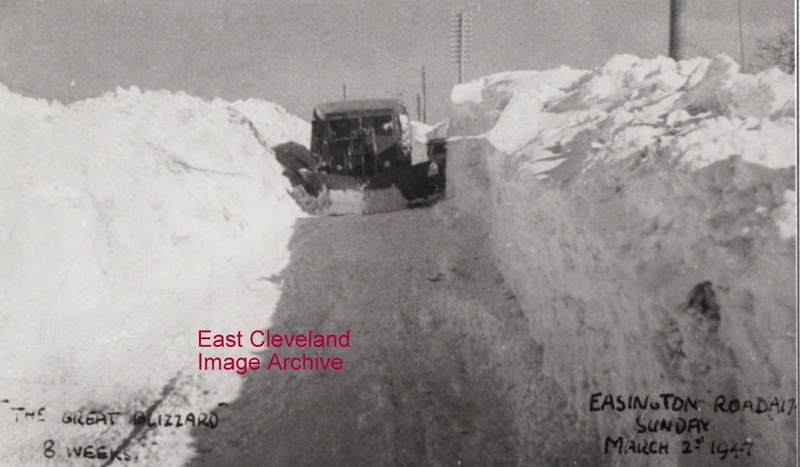 Not the recent one but 1947, it lasted for 8 weeks, this photo shows Boulby Bank top with Tommy Jackson driving the snow plough. Now this scene I DO remember, boy was that snow piled high. Image and information courtesy of Joan Jemson. Yes a very interesting photograph, the person must have been wealthy as I at 78 yrs old can remember the first camera anyone possessed in our village and it was 1948/9…I think we all ought to carry a camera because the history is recorded as this is..